We re-iterate our comments from last night. The Fed did comment that they forsee rates staying low for quite some time. That statement was enough for us to buy USD by shorting EUR/USD. Our next target level is 1.3680. 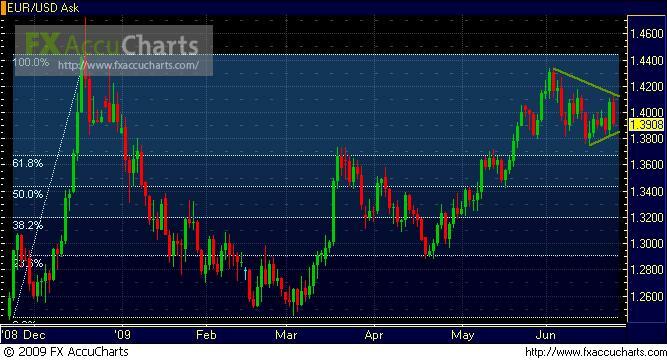 See below graph of daily price action for EUR/USD overlaid with Fibonacci lines.